Part of a series of FALSE FLOORS this gallery intervention was built in to a large space at MACBA, (Museu d’Arte Contemporaneo) in Barcelona Spain as part of an international show called ‘Mirades (sobre el museu)’ or ‘Looking beyond the museum walls’. 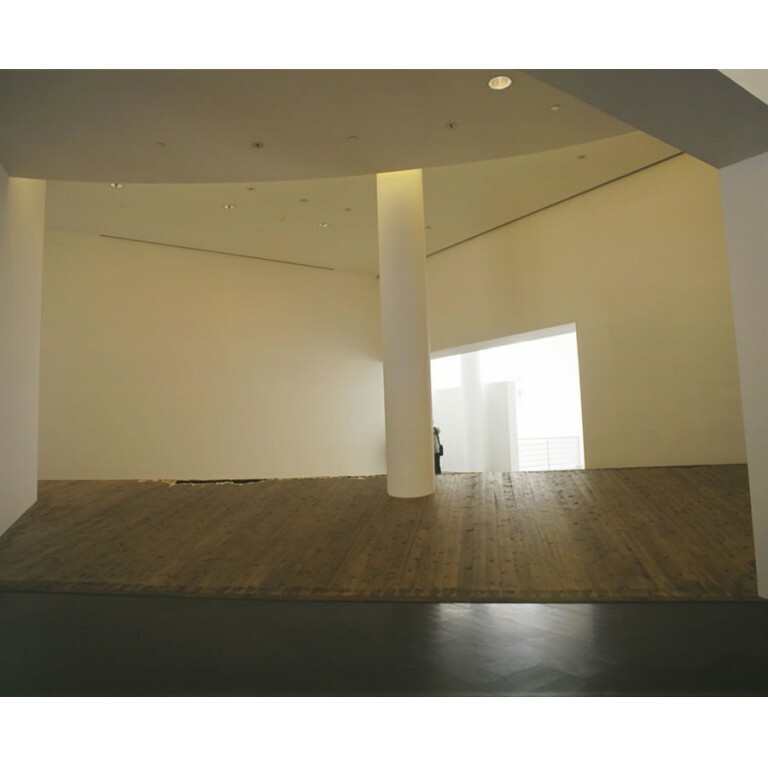 It was a participatory installation that invited people in to walk on its raked surfaces. Walking up to the apex they were able to look down through roughly hacked holes in the wood flooring to see and hear water gently flowing beneath. This series of water installations – False Floors – maybe a response to a recurrent dream I have of a subterranean stone chamber filled with dark moving water. There is a lot of water and it seems somehow ominous. It seems relevant to our current problems that involve flooding and the many ecological disasters we read about or experience first hand. On a more positive note I have recently seen subterranean water cisterns in places like Turkey Morocco or Greece which are almost the exact manifestations of my dream. These interactive installations also represent a disruption of normal gallery expectations.